Poisonous plants can be found everywhere. Horses will not usually choose to eat them when quality forage is available but, when deprived of green vegetation and restricted to marginal pastures, some horses may sample these poisonous plants. On occasion, a horse will actually develop an appetite for certain poisonous plants. And, mineral deficiencies in a horse's diet may also cause them to seek out these plants. Thus the best defense against these plants is a well balanced diet. Depending on the plant, quantity consumed, and time of year, ingestion can cause serious health problems or even death. This problem is made even more difficult because some plants, eaten in small quantities, are not a problem, while at other times of the year, small quantities of the same plant become lethal. Owners should be especially vigilante after a frost or when young shoots emerge. Symptoms of poisoning range from slight illness for a few days to slobbering, tremors, lack of coordination, erratic behavior, convulsions. Left untreated, these can result in long-term health issues or sudden death. Please remember that while avoidance is best, immediate care after exposure is the next best thing. The best way to protect your horse is to familiarize yourself with poisonous plants that grow in your area, rid your areas of them, and make sure your horses have adequate, good quality feed so they won't eat plants out of hunger or boredom. ​Leaves Seeds and leaves, especially when they are wilted. Can cause difficulty breathing, anxiety, colic, convulsions. If enough is eaten,can be suddenly fatal. Early growth in spring, this plant contains prussic acid highly toxic after frost, also toxic when dried in hay. Mostly found in the Eastern US, sweet smelling clusters of white flowers. Toxins affect the intestinal tract, & nervous system. Roots of the black walnut contain high concentrations of Juglone. Black walnut root is often used for grafting other tree species and still contain toxins after grafting. Leaves and bark also are toxic, but less so. Beware of chips from walnut trees; toxins can remain for up to 6 months. Pollen from the Black Walnut also can affect humans. Although rarely eaten, can cause trembling, staggering, vomiting,diarrhea, convulsions, labored breathing, and skin irritation if in contact with sap. Large quantity ingestion can be toxic. Leaves are poisonous both on plant and when dried and in hay. A horse would have to ingest 100 pounds over a week. Symptoms are slow to occur. The whole plant is toxic. Effects mucus membranes and blood, causes difficulty breathing, depression, blindness, lack of coordination. Nitrate poisoning and can cause kidney and liver failure. This pretty yellow flowered plant that we all have seen and (maybe dug some to take home) contains irritant juices that severely injure the digestive system. Sap from stems can cause inflammation and blistering on skin. Once blistering has begun, a horse will stop eating, which makes the toxicity self limiting. Note: poison is inactive when dried in hay. Originally imported from Africa, now grown domestically for its big beautiful leaves. All parts of plant are poisonous, including seeds. Chokecherry is especially poisonous to horses after a frost, or wilted leaves and branches that have fallen on the ground. Wilting releases Cyanide and makes the plant parts sweet. In this plant, the seedlings and burrs are the most toxic; toxicity doubles when dried in hay. ​Curly Dock can cause coma and death, kidney damage, tremors,depression, and general weakness. All parts of the plant are toxic, highest concentration in the root. Lack of coordination, gastrointestinal upset, convulsions. Contain alkaloids which affect the nervous system and can be fatal. One of the earliest plants to emerge in spring. 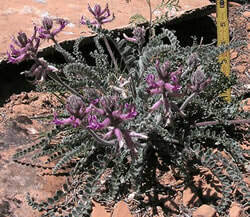 Poisonings occur from early spring grazing while other plants are still dormant. Also called stinking mayweed. Daisy type flower on ferny stem. Smells bad, looks pretty. This plant similar to milkweed, has a milky juice when stalks are broken or disturbed which can cause cardiac arrest. Berries are fine for wine and jams, but the foliage contains cyanogenic glycosides and is highly toxic to horses and humans. Seed head, stem and leaf sheath. Reproductive problems, lameness, dry gangrene, prolonged gestation, abortion, stillborn, foal mortality, mare death, fever. Can grow a fungus acremonium coenophialum, and contains alkaloids that inhibit prolactin release. Small plant that prefers cool, moist areas, such as ditches,meadows and road sides. This is especially poisonous to young horses. Ingestion can cause stomach irritation, abscesses, and irritation to mouth, nose, ears, and skin. This perennial legume was imported as livestock forage, but was unpalatable and highly toxic. Horses typically will not eat it unless nothing else is available. Winter cover crop that produces nitrogen, most toxic in late spring,more toxic to cows, but also toxic to humans. Symptoms include hypersensitivity, lesions on liver, kidneys ,spleen, heart and lymph nodes. Can be fatal. Berries and leaves are toxic. Gastrointestinal upset, difficulty swallowing, blurred vision, irregular heartbeat, convulsions, death. Contains ilicin, which is toxic specifically to the digestive system,nervous system and cardiovascular system. Can be fatal. The leaves of this plant are rough and resemble a canine tongue. This plant is very toxic and can cause liver damage. Bulb is toxic, Gastrointestinal upset, diarrhea, lack of coordination,convulsions. Contain alkaloids which can be fatal. Nightshade family of a group of plants known as "belladonnas",which contain narcotic poisons, Stramonium and Scopolamine. Can cause weak or rapid pulse, and heartbeat, dilated pupils,uncoordinated gait, coma, and possible death. All parts of the plant are poisonous and symptoms can appear between 1-4 hours. Increased heart rate, excess drooling, increased respiration,convulsions. Oil is highly toxic. Contains ascaridole which can be fatal. Is used in medications for heart failure. More toxic for cows and sheep, horses rarely die, unless worked after consumption. Plants are most toxic during early growth. All parts of the plant are toxic. Drooling, lack of control, diarrhea,reduced heart rate, weakness, tremors, convulsions, coma, death. Contains steroidal alkaloids. Can be fatal. Horses usually avoid Loco Weed, but some develop a taste for it after sampling it. They may wonder aimlessly, have altered gaits, tremors and erratic behavior. Can stay in the system and cause birth defects. Effects other cattle and sheep. These beautiful trees produce cyanide in wilted leaves. Cyanide suffocates animals by blocking oxygen transport. Signs of poisoning include lethargy, discolored urine, darkened gums, and symptoms may not appear for a few days. The milky sap that exudes when these plants are cut or grazed is not very palatable to livestock, but also ends up in hay. This woody evergreen has rose or white flowers. Toxins causes cardiac distress. Animals water from the eyes, nose and mouth. Uncoordinated gait, weakness, convulsions, coma, and even death can occur. Stems and leaves are poisonous and contain alkaloids, which interfere with digestion, and affect the nervous system. Yes, common scrub oak! Poisoning is usually seasonal, most common in the spring when young buds and leaves are eaten, and again in autumn when acorns are eaten. Both contain tannic acid and some horses develop an addiction to them. Causes gastroenteritis and kidney damage. This plant causes photosensitivity, inflammation of the nonpigmented portion of skin and those areas may peel, the tongue and mouth may be affected. Highly toxic and even fatal if ingested. Can cause excessive salivation, burning of the mouth and throat, severe stomach irritation, bloody diarrhea and convulsions. Bushy perennial 2-4 feet tall, clusters of yellow flowers. ContainsTremetol, weather green, or dried in hay. Poisoning most common in the late fall or winter, and produces trembling and weakness. Constipation, coma. Also toxic to sheep, goats, and cattle. These plants are very common and very toxic. They have soluble oxalates, which accumulate nitrates and contain nephro toxins, which cause kidney failure. Leaves, stems, and roots. The entire plant is toxic. Digestive upset, drooling, lack of appetite, diarrhea, colic, depression, weakness, lack of coordination, stupor, paralysis of the legs, weak heart rate, death. Contains Grayanotoxin, which affects skeletal and cardiac muscle and nerve function. Can be fatal. Excellent feed when harvested and cured correctly, however can result in cyanide poisoning when improperly managed. Spurge has a milky sap that causes blistering & irritation to the skin in horses, & humans. Goats and Sheep can graze this plant to help get rid of it unaffected. When eaten by horses may cause photosensitization. Ingestion results in patches of white become seriously sunburned under normal conditions. This plant contains liver damaging alkaloids which causes liver cells to expand and then die. Grows in wet meadows, ponds & streams. Death can be immediate, as it quickly affects the nervous system. All Iris contain Irisin, plant juice can cause dermatitis and poisoning. These invasive weeds are becoming more prevalent in our Colorado pastures, also showing up in hay sources. These plants are more toxic when dried in hay! Ornamental evergreen shrubs that are very toxic all times of year. Most yew poisonings are the result of homeowners throwing clippings into pastures.